Bookings open to Platinum Castaway Club Members and Golden Oak by phone on March 5, 2018 at 8 a.m. ET. Bookings open to Gold Castaway Club Members by phone on March 6, 2018 at 8 a.m. ET. Booking open to Silver Castaway Club Members, Adventure Insiders and Disney Vacation Club Members by phone on March 7, 2018 a.m. ET. Bookings open to the general public online and by phone on March 8, 2018. These Adventures by Disney offerings open for booking beginning March 8, 2018. A Vancouver Short Escape will open for booking later this year. 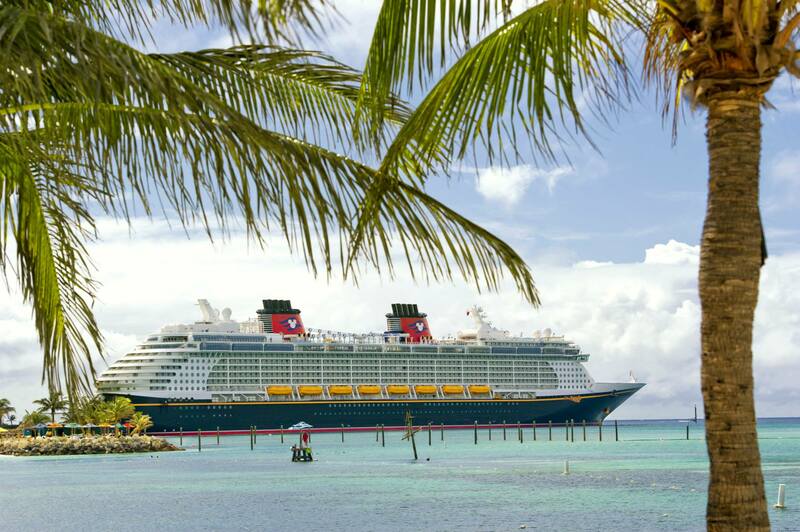 Please contact us, for more information or to book one of these fun Disney Cruises! vacations! On June 5, 2016, Disney Cruise Line will sail from Dover, England on its very first British Isles Itinerary! The 12-night cruise on the Disney Magic will sail for the first time to Invergordon, Kirkwall, and Greenock (Glasgow), Scotland; Newcastle and Liverpool, England; Dublin, Ireland; Le Harve (Paris), France; and Guernsey; one of the Channel Islands. On this stunning itinerary, Guests can explore the majestic beauty of Scotland, experience Highland culture, sample traditional cuisine and spirits, and discover the country’s iconic castles. Elsewhere on the itinerary, Guests will experience the merry, cosmopolitan city of Dublin, the culturally rich and romantic Paris, the birthplace of the Beatles and the British Invasion in Liverpool, and the charming Countryside of Guernsey. Disney Cruise Line Guests can explore the natural wonders of Iceland with two new 12-Night Disney Magic sailings. Each itinerary includes two days in Reykjavik and a stop in Akureyri, Iceland; Bergen, Norway; and Kirkwall, Scotland. Departing from Dover, England and concluding in Copenhagen Denmark, then the June 17 cruise also visits Stavanger, Norway and New Castle, England. The July 13 cruise departing from Copenhagen, Denmark and concluding in Dover England also visits Olso and Kristiansand, Norway and Invergordon, Scotland. On this itinerary, three days in Iceland provides time to explore the country’s rich natural wonders, from volcanoes, lava fields, to glaciers and thermal springs. In Norway, Guests are immersed in the splendor and charm of the country with exciting ports steeped in Viking history. For the first time, Disney Cruise Line will sail from Dover, England on a seven-night cruise to the majestic Norwegian fjords. Departing on May 29, the Disney Magic will visit Stavanger, Alesund, Geiranger and Bergen, Norway. In Norway, Disney Cruise Line Guests will discover breathtaking natural wonders such as magnificent mountain ranges, massive glaciers and majestic fjords. The enchanting Scandinavian culture of the region comes to life through local attractions, stunning architecture, storybook villages and historic city centers. During the summer of 2016, the Disney Magic will return to favorite destinations in Northern Europe, the Greek Isles and the Mediterranean with a variety of seven-night and longer sailings. From May through August 2016, the Disney Wonder will return to Alaska, sailing from Vancouver, Canada to Tracy Arm, Skagway, Juneau and Ketchikan. In 2016, the Disney Dream and Disney Fantasy will sail from Port Canaveral to the Bahamas and Caribbean on a variety of itineraries. Most of these cruises include a stop at Disney Castaway Cay, a private island paradise. Please contact me for more information or to book one of these AMAZING Disney Cruises. 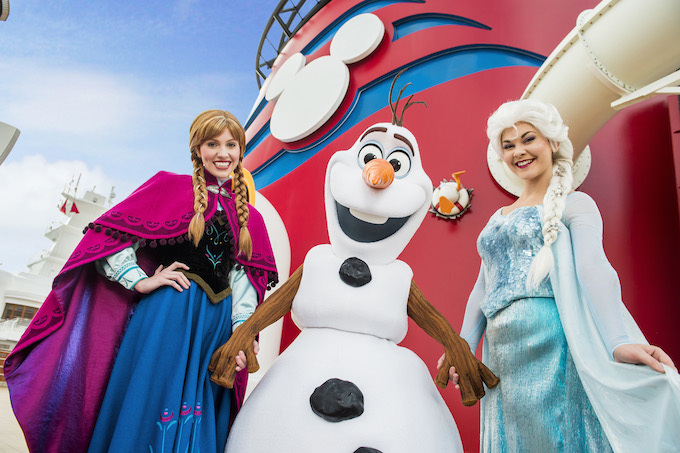 For the first time this summer, on select sailing on both the Disney Magic and Disney Wonder sailings Alaska and Europe, Disney will bring the land of “Frozen” to life. For one day of the sailing, the ship will be transformed into the land of “Frozen”. Guests will be able to immerse themselves in a new deck party, a three-song stage show production number, character meet and greets with some of your favorite “Frozen characters, new ashore adventures and much more. “Anna’s Chase for the Chocolate” a scavenger hunt with a special surprise for finishing the game… I think the surprise might have something to do with chocolate! With the Disney Magic sailing to Norway, guests will be able to have an even more immersive experiences. “Frozen” will make its debut in an all new production “Disney Dreams… An Enchanted Classic”. In this production, Princess Anna, Queen Elsa and Olaf along with your beloved Disney characters will teach an young girl the power of her dreams. This is not all for guests sailing to Norway! Guests will also have the opportunity to experience all-new port adventures that bring the story of Arendelle to life. One of the signature adventure ashore in Ålesund, Norway, will immerse guests in the charm of Norway with the help with Anna and Elsa themselves. The summer “Frozen” fun doesn’t stop there but expands to all Disney Cruise ships; Disney Wonder, Disney Magic, Disney Dream and Disney Fantasy. Olaf with his warm hugs, will join the sisters from Arendelle in an all-new meet and greet experience. On the first night of the cruise, guests will be given a personal navigator with information where they can get tickets to participate in the meet and greet. You must have a ticket in order to participate, so get your ticket as soon as you can. Cruises that port at Disney’s private Island, Castaway Cay, will also enjoy a new addition the island, Olaf’s Summertime Freeze bar. Specialty non-alcoholic frozen drinks will be served and is located near Pelican Point Tram stop by the Disney Castaway Cay Family Beach. I’m not sure about you, but I am pretty excited about all the new “Frozen” happenings this summer. If you were thinking about taking a cruise, this might be the perfect time to go! For even more information or to book a Disney Cruise, please contact me today!